You may well have seen the words ‘Back to School’ a lot recently as kids prepared for another year of reading, writing and arithmetic. New uniforms, new shoes, the all-important new pencil case! 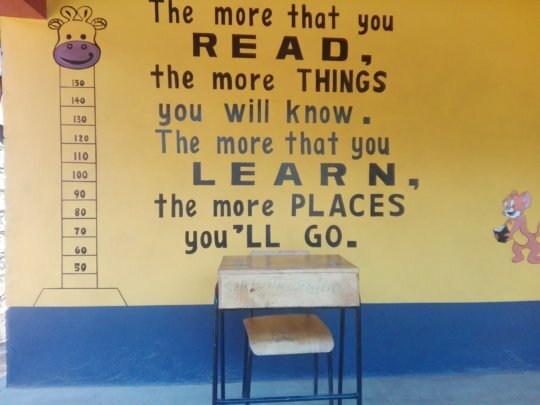 Well Globalgiving are giving us an opportunity to help send some more kids back to school this September. 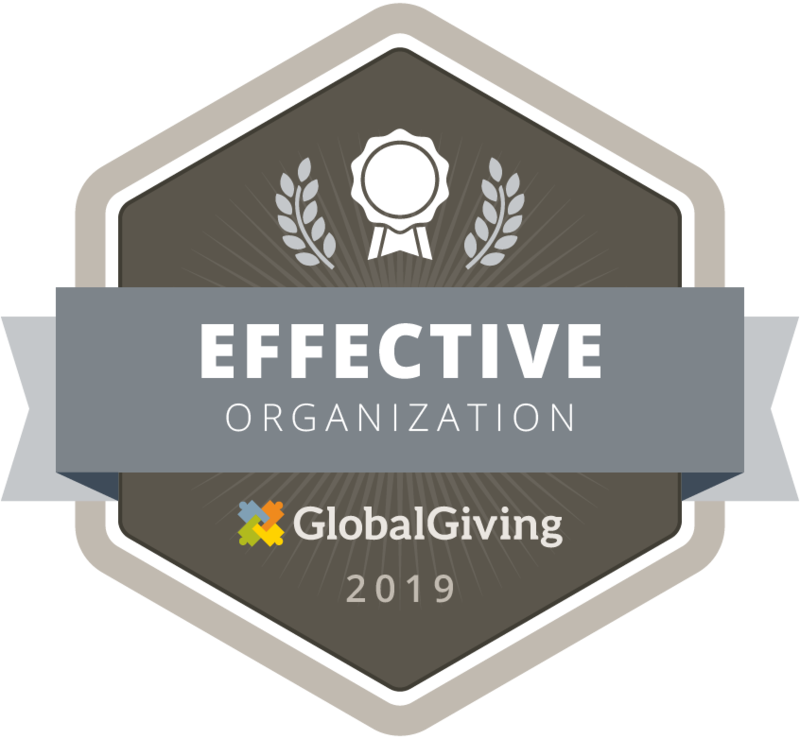 From the 24th to 28th of September they are running a campaign to match your first donation when you start a monthly donation to Turning Point through GlobalGiving. 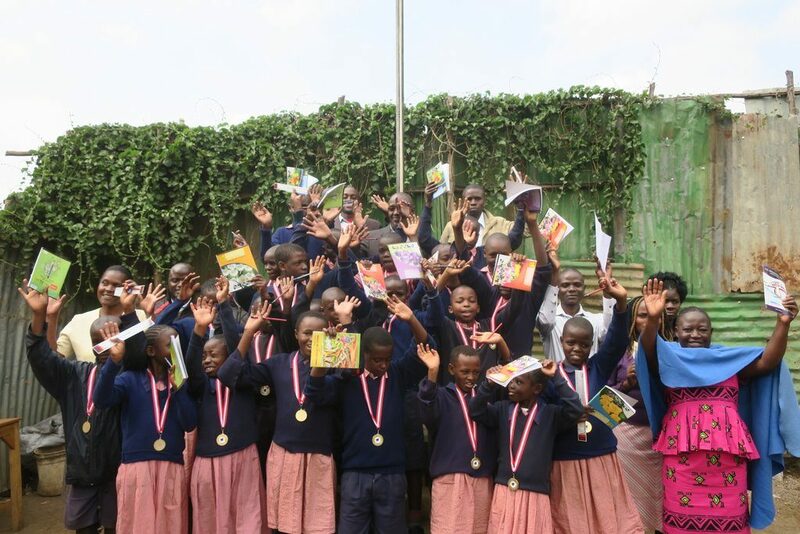 The new year is always exciting for us at the transition school, we not only welcome new kids to the project but we also celebrate as the kids we had transition to formal primary education. This year 27 kids out of the 30 chidren have successfully transitioned and Maria is among them. 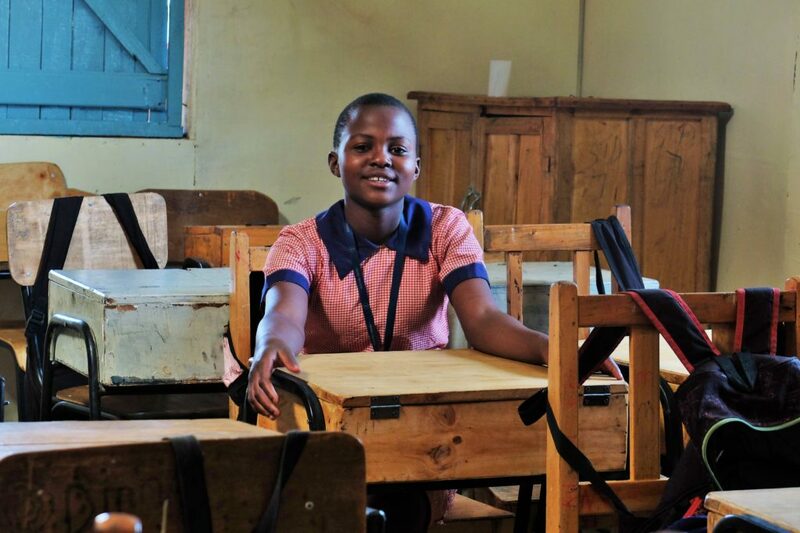 When you meet Maria along the corridors of her new school, Fountain of Hope Primary school, she exudes a gentle confidence. She’s calm yet has blended in with the rest despite her being the new kid in Class 5. 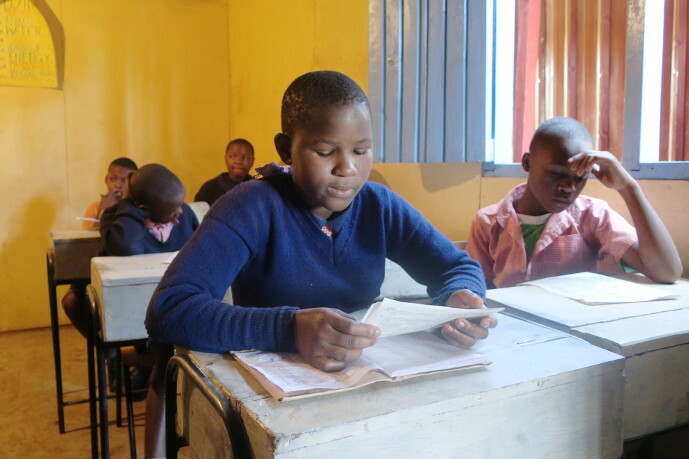 Caro is the prefect for Class 5 at the Fountains of Hope primary school. This twelve-year-old entertains no nonsense and her peers call her ‘the governor’. Caro is the youngest of four siblings who lost their parents when Caro was very young. 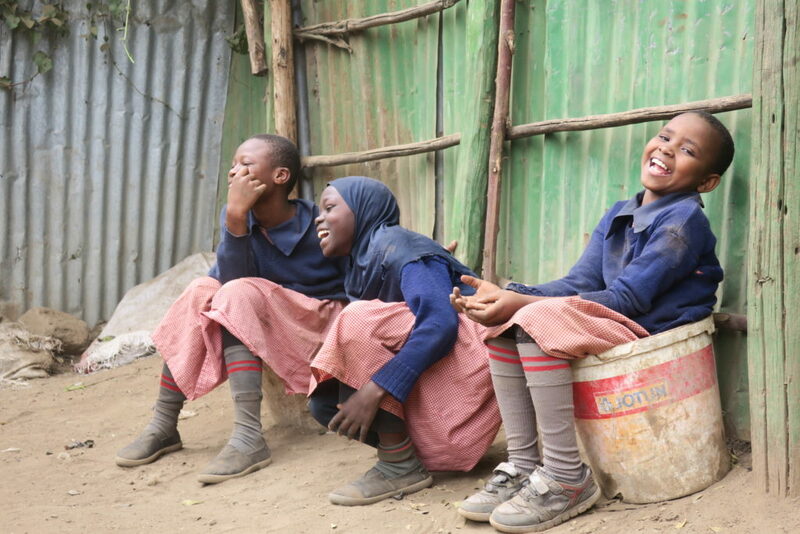 They came to live in Kibera with an aunt who already had three children of her own. Her own children suffer with a skin condition that requires frequent treatment and she herself is diabetic. 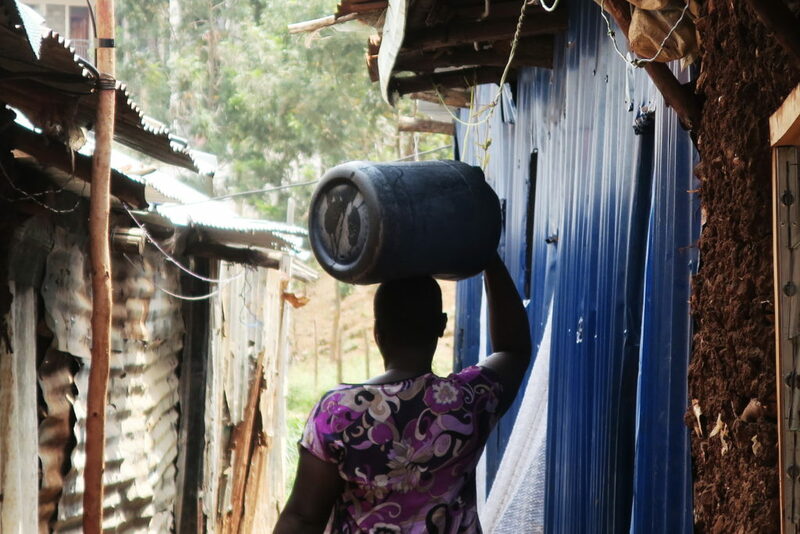 Caro’s aunt is a hero, caring as best she can for seven children in their tiny home in Kibera. 16-year-old Harrison* is the first born of five. 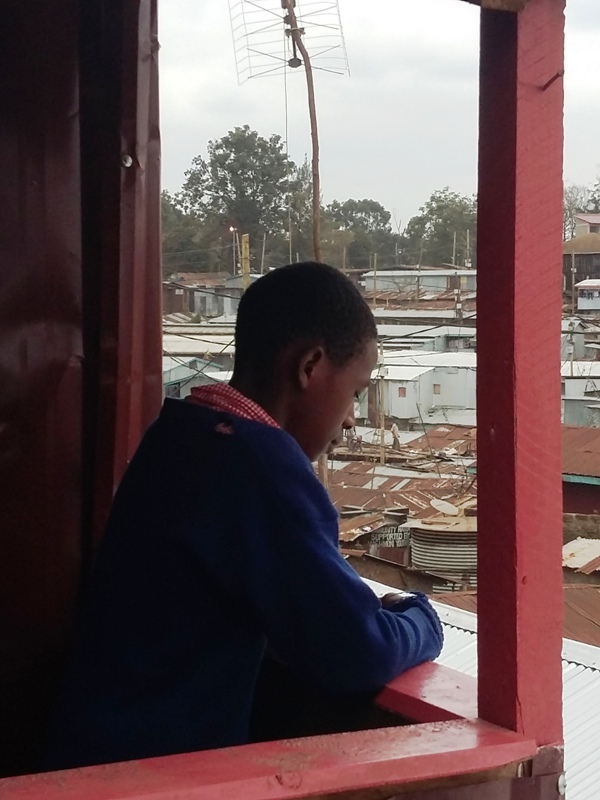 Much of his childhood was spent on the Kenyan coast in Mombasa until his father died. 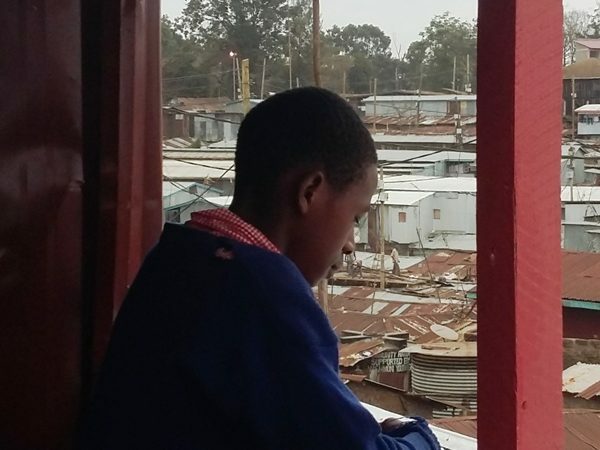 His mother sought the help of their grandfather who lives in Kibera and now the five children live in Kibera with their grandad while their mother returned to Mombasa. When our social workers visited their one-roomed home they found two beds covered in clothes as make-shift mattresses. There was little else in the room – no furniture, no cooking stove. The grandfather would buy food from small cafes and kiosks in the slum as they had nowhere to cook at home. This desk represents the journey of a young man whose path crossed ours many years ago and whose journey thus far has caused us great joy. Frank , now 21,came to us as a young boy who could barely read, write and expressing himself was a challenge. He joined Turning Point in Class 4 and first went through our transition class to prepare him for formal schooling as he had missed a few years of schooling. 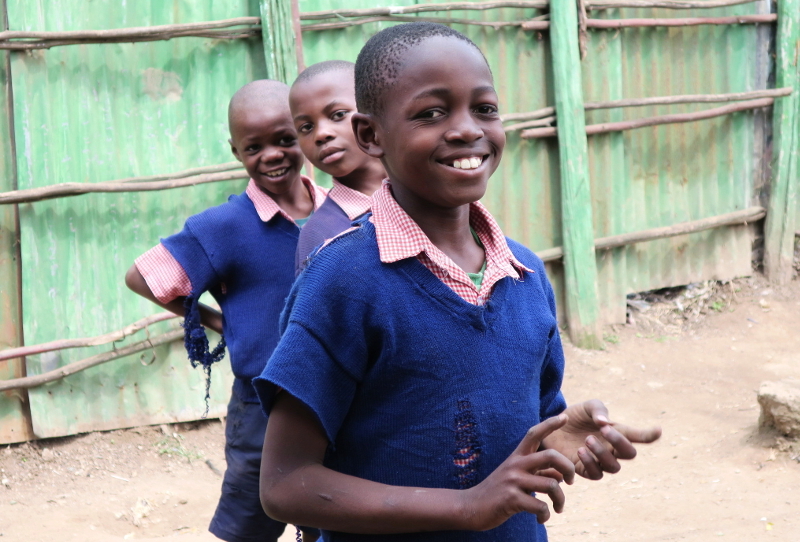 The transition journey was definitely an uphill task but he finally joined primary school. However, due to the poor foundation he had prior to joining our education program, Frank did not perform so well in his final primary exam. He was determined to not let what would seemingly appear as a major obstacle stop him. He, with Turning Point’s support, began a course in mechanics that took a year. Life would however reveal that his passion did not lie in mechanics and when he stumbled upon carpentry, his passion was ignited. 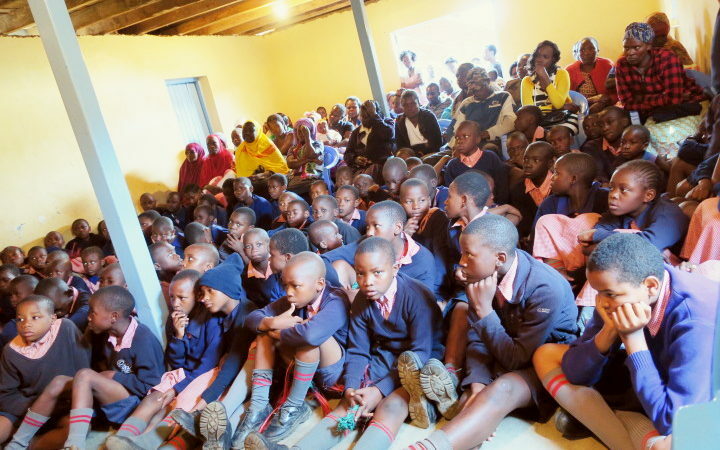 Frank recently visited Fountain of Hope primary school and he came bearing gifts, a desk and a chair. A very timely gift as we expand to full capacity next year. 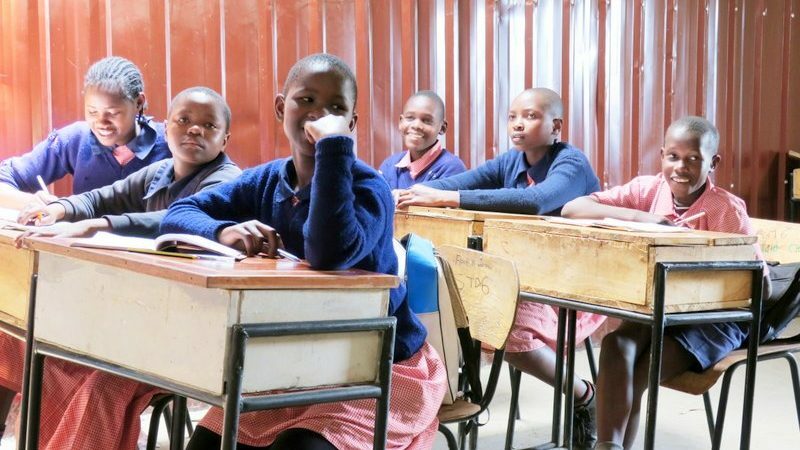 Full capacity means that we will finally become a full primary school next year and we will have the first class sitting the National Primary exams. 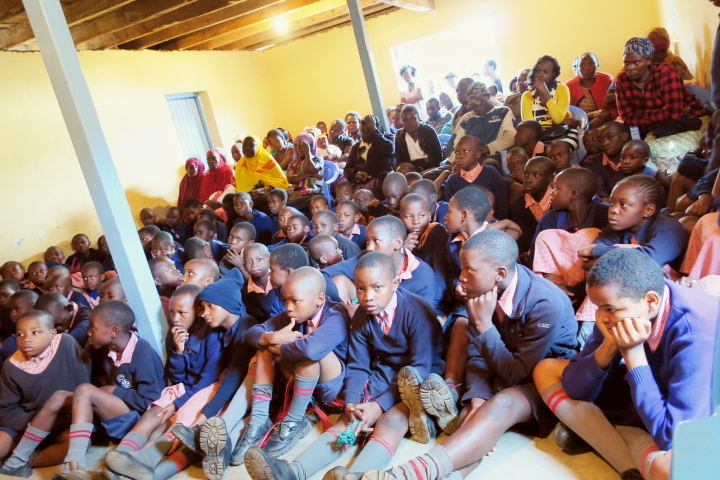 His visit reminded us that the work we do has the ability to change the lives of the children who come our way and when we do all we can do to inspire these children to never give up on themselves, great things can happen. 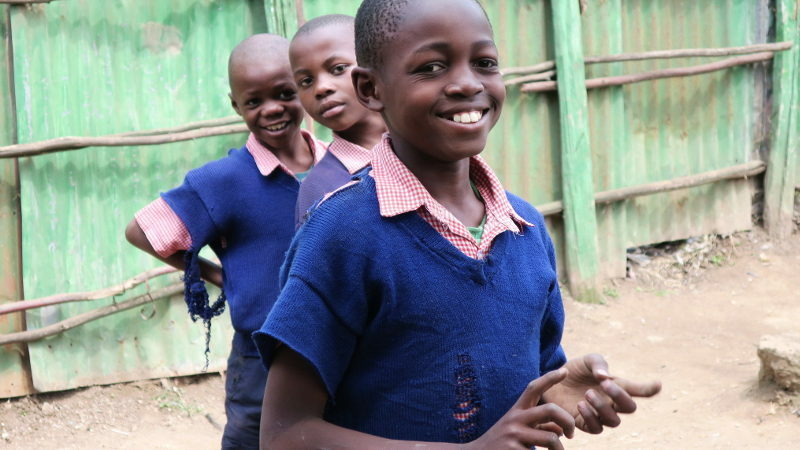 Yes, the Fountains of Hope school is closing this early for the Christmas Holidays! Today we packed out the school hall with parents, teachers and students to celebrate a great year, to thank the parents for their partnership and congratulate the children on their progress. Bob’s *(not his real name) story as narrated by Brenda. 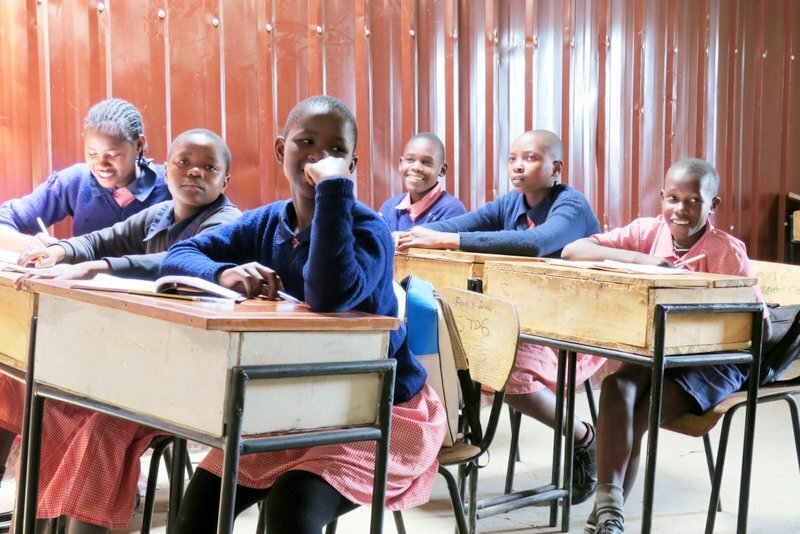 “Plenty is said about Kibera and most times it is said in a negative light, but to me Kibera symbolizes hope and wealth for this is where my hope for a better future was renewed.